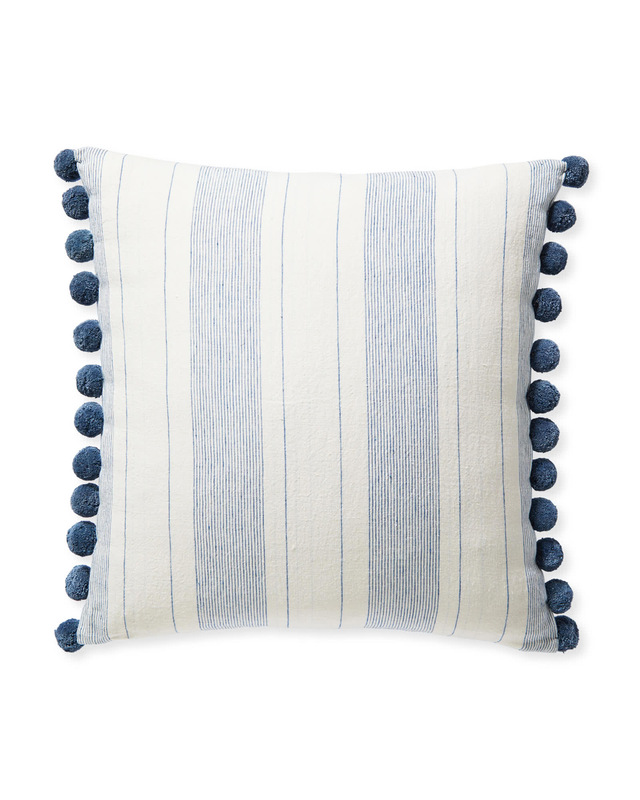 Luca Pillow CoverLuca Pillow Cover, Washed Indigo alt="Luca Pillow Cover, Washed Indigo"
Print Everything about this pillow showcases our obsession with pretty textiles – from the yarn-dyed stripes to the playful pom-poms and relaxed linen base. The details required expert craftsmanship and extra time to produce, but we think the results were well worth it. 100% washed linen with cotton lining. Yarn-dyed stripes are meticulously woven into the fabric, requiring extra craft and care. Handmade cotton pom-poms adorn two edges.